As a designer, you would like to explore all the possible ways to make your website popular with the internet users. These showcase excellent styles and formats. 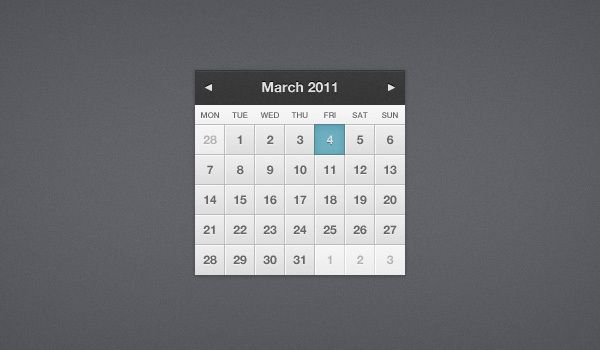 If you want to use this element, consider checking Calendar (PSD Download). And to fulfill this goal, you have to experiment with your ideas, thinking, creative skills and design a bit while picking up user interface (UI) elements. These elements are available in huge varieties and you have to choose these based on your project requirements. 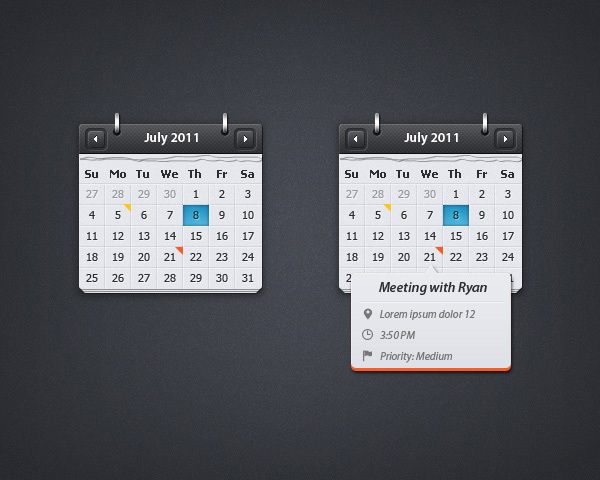 For instance, if your project requires the use of calendar in its design, you cannot afford to overlook it. 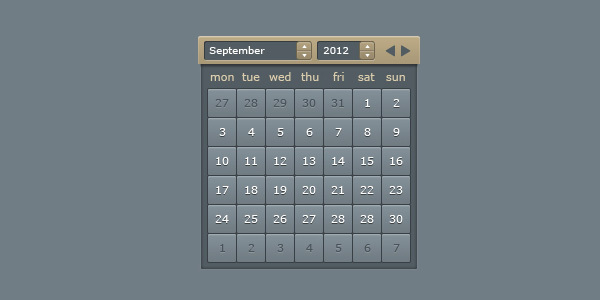 There are various calendar mockup designs available on the internet. The simple design and features of this template make it suitable for a variety of web projects. You can also try this one out. 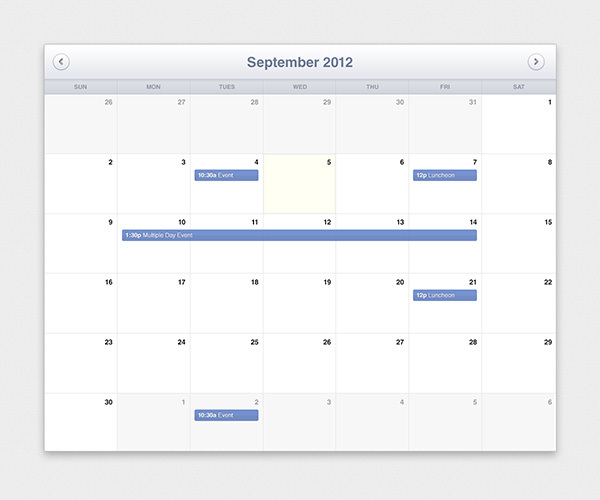 It will be a good experience using an already created calendar template. Why Use Calendar (PSD Download)? This event calendar is a perfect fit for a large number of website designs. The template consists of .PNG and PSD formats, which are useful for customization. You will be attracted to its simple design and color combination that is both attractive as well as eye-catchy.